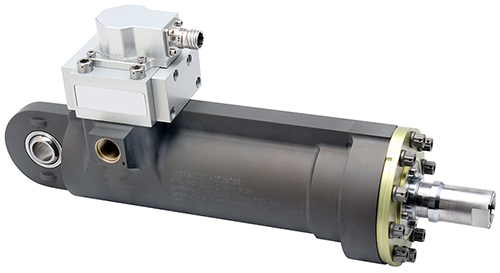 This actuator was designed to control the thrust vector angle on rocket engines. It is designed for high vibration and shock loads, and has excellent frequency response characteristics. Redundancy is accomplished via dual-coils in the EFSV first-stage torque motor.